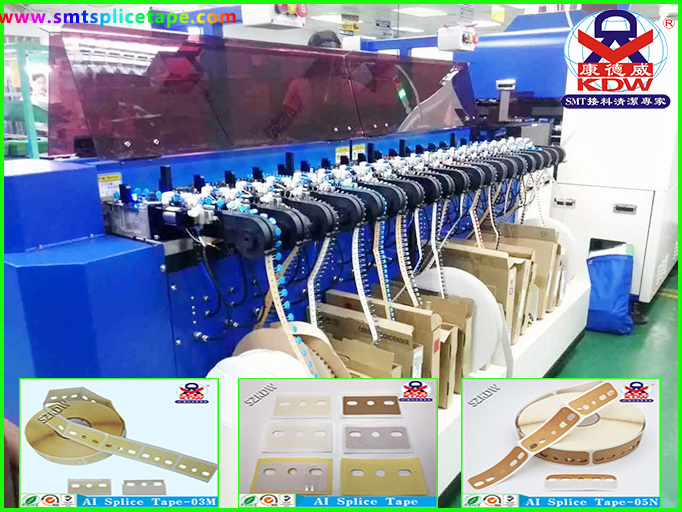 Product categories of AI Splice Tape, we are specialized manufacturers from China, AI Splice Tape, High Viscosity AI Splicing Tape suppliers/factory, wholesale high-quality products of AI Splice Clip Tape R & D and manufacturing, we have the perfect after-sales service and technical support. Look forward to your cooperation! When used, the fingers will never touch the plastic surface to ensure the reliability of the material. Applicable to the vertical AI plug-in machine parts Splice, such as the shaft of the resistance of the radiating material parts and components.